Interiors inspired by art creates an emotional connection for Jennifer and today it has become her signature in design. She credits her unique style and creative transition into the interior design world from her imaginative merchant background. Creating spaces with a sense of drama and unique combinations of traditional and contemporary elements Jennifer enjoys all types of aesthetics and avoids labeling personal style for what is simply unique and fabulous! 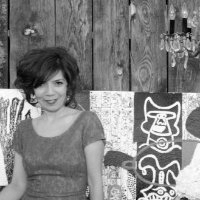 As an Allied Member of ASID and degrees in Liberal Arts and Interior Design, she credits her creativity from world travel and a multi-cultural background and artful upbringing. Originally from Southern California she has made Santa Fe her home for over 15 years.